Since their first discovery in the 1960s, over 2,000 pulsars — rapidly spinning, dense stellar cores — have been found. Data from NASA's Chandra X-ray Observatory has confirmed the youngest known pulsar in our Milky Way galaxy. 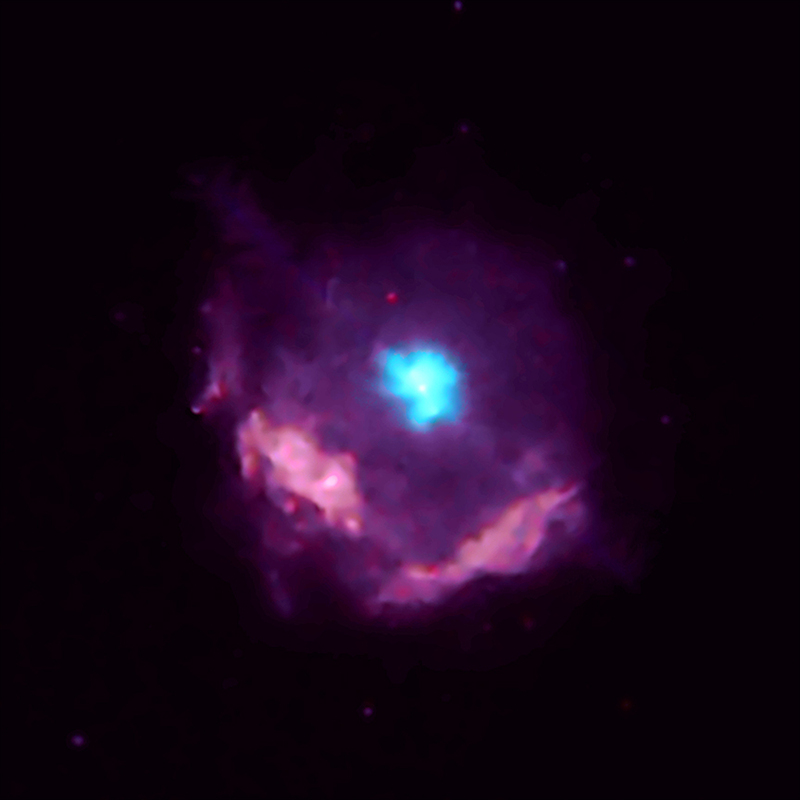 This pulsar, known as Kes 75, is located about 19,000 light years from Earth. Scientists have uncovered interesting properties of Kes 75 that could help them better understand how some stars end their lives. A supernova remnant containing the youngest known pulsar in our galaxy. About 19,000 light years from Earth. 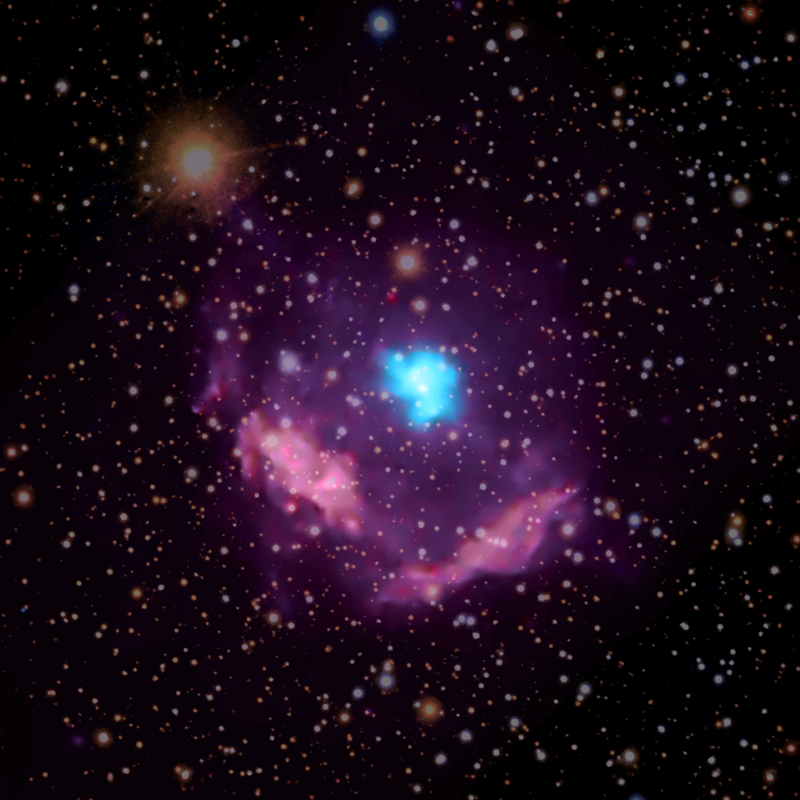 X-ray light from Chandra and optical light from Sloan Digital Sky Survey. About 36 light years across. X-rays 0.5 keV-2.1keV are pink and purple, 1.6keV-2.1keV are cyan; Optical is red, green, and blue.